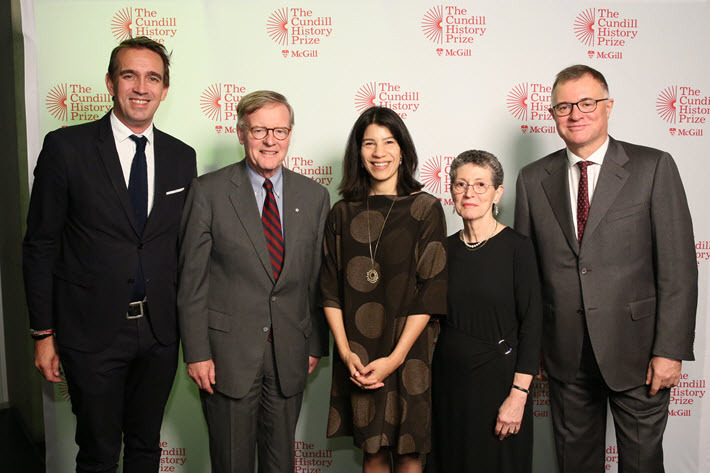 ‘A lot harder than it sounds’ to get right: Cundill History Prize jurors hail Maya Jasanoff’s ‘first-class historical writing’ on Joseph Conrad. The English language’s richest award for historical writing has been given tonight (November 15) to the American writer Maya Jasanoff in honor of her “genre-bending account” of the life, world, and impact of the Polish-British icon Joseph Conrad. In a curious parallel during this week so crowded with award news, Jasanoff is the second Harvard luminary to land a major prize for a work of historical literature: On Wednesday evening (November 14) in London, Serhii Plokhy, who holds Harvard’s Mykhailo S. Hrushevs’kyi chair in Ukrainian history won the UK’s Baillie Gifford Prize for his Chernobyl: History of a Tragedy. Mark Gilbert, the jury’s chair, for example, says, “The Dawn Watch is a striking portrait of an exceptional man and his times. 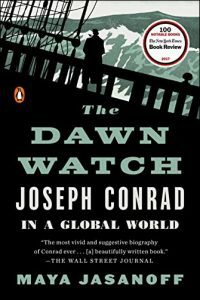 And Peter Frankopan, global history professor at Oxford—among the Cundill’s most articulate jurors—is quoted, saying, “The Dawn Watch is immaculately researched. And it’s innovative too: part history, part travelogue, part literary criticism. “I think that’s one reason why it succeeds so well–because it’s constantly challenging us to think about the period, the writer, the works, and the places. The Cundill jurors’ accolades follow a year of fine reviews for Jasanoff’s 2017 release. It’s the kind of book that has an Amazon sales page filled with stacks of superb review excerpts. And the selection of this book affirms the essential criterion of the Cundill award as F. Peter Cundill (1938-2011) created his foundation to promulgate: accessibility. The prize annually seeks out scrupulous historical evocations interpreted in the most readable voices for a world that today seems to be losing its memory and rummaging dangerously around in dark blunders no one needs repeated. Not for nothing did Emmanuel Macron’s ringing address on the centenary of the World War I armistice say at l’Arc de Triomphe, “I know that the old demons are resurfacing, ready to carry out their work of chaos and death. New ideologies are manipulating religions, advocating a contagious obscurantism. In Jasanoff’s hands, such darkening warnings know their man and see Conrad as a figure shaped, in part, by the friction of globalization vs. nationalism. 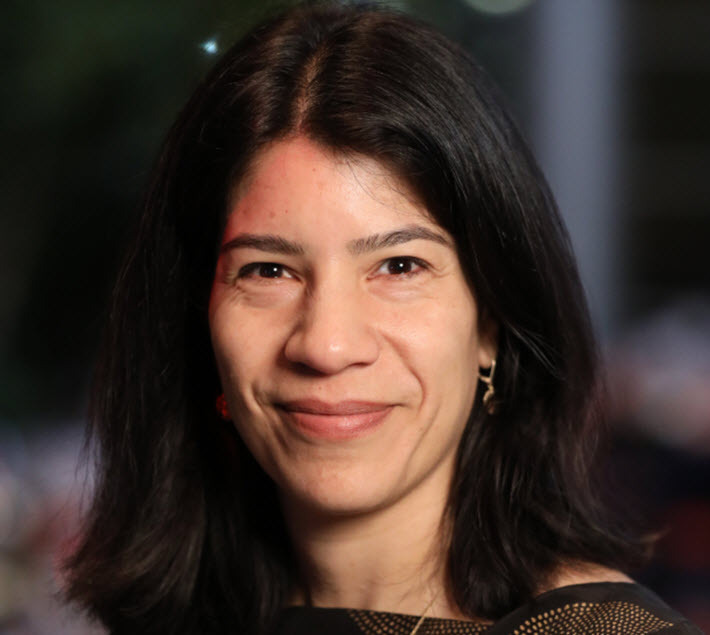 Juror Carol Berkin of Baruch College and the City University of New York (CUNY) says, “Jasanoff takes us on a journey of discovery and adventure in the early years of globalization. 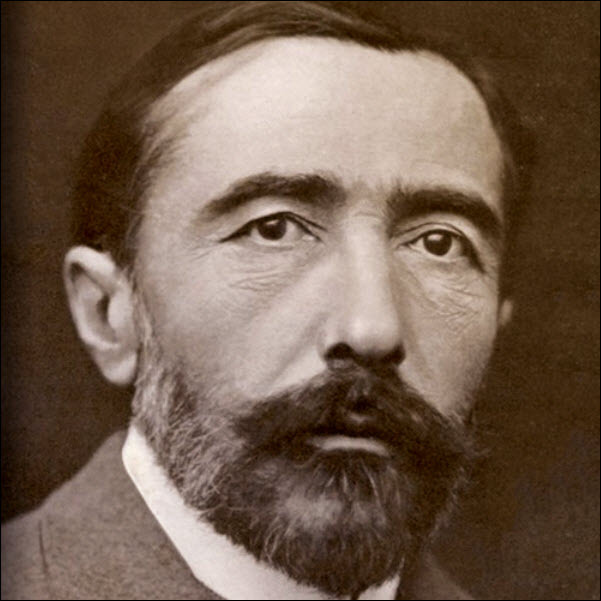 “Using Joseph Conrad’s experiences and his observations as the lens through which she explores historical change and adaptation, Jasanoff examines the origins of many of the ills we have come to associate with our world today: terrorism, racism, and individual alienation. What these astute jurors are describing in Jasanoff’s work can be seen as a possible reason, in fact, that nonfiction today seems to be holding it own in the marketplace better than fiction. If a writer today with a powerful gift for narrative can tell a story that illuminates the insecurities surrounding us—and can do it in a rigorous allegiance to historical fact and a love of accuracy—why shouldn’t the world beat a path to her doorway? As it turns out, the Cundill Prize and Jasanoff are not strangers to each other. 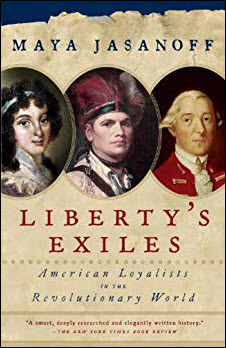 Jasanoff has previously been named a finalist for the her second book, Liberty’s Exiles: American Loyalists in the Revolutionary World (Vintage, 2011), which also was shortlisted for the very prize we’ve mentioned, the Baillie Gifford, during the years in which it was named the Samuel Johnson Prize. 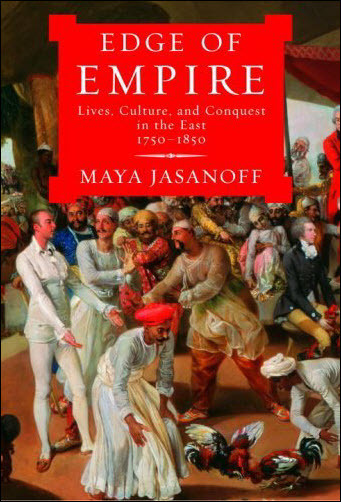 What’s more, Jasanoff’s first book, Edge of Empire: Lives, Culture, and Conquest in the East, 1750-1850 (Vintage, 2007), was awarded the Duff Cooper Prize. And in tonight’s programming, it finally falls to Antonia Maioni, the dean of arts at McGill University, the seat of the Cundill, to drive home both the importance of Jasanoff’s work and the guiding intention of the prize program, itself. The two runners-up in this year’s competition each receive US$10,000. As covered in our story on the finalists, they are the Pulitzer-winning historian Caroline Fraser for Prairie Fires, the first comprehensive historical account of the life of Laura Ingalls Wilder, author of the Little House on the Prairie books, and the Ohio State University associate professor in history Sam White for A Cold Welcome, his interdisciplinary investigation into the decisive role the climate played in the success and failure of the first North American settlements. At tonight’s gala, Daniel Beer, senior lecturer in modern European history at Royal Holloway, University of London, is giving the annual Cundill lecture. He won the 2017 prize for his TThe House of the Dead: Siberian Exile Under the Tsars. Submissions for the 2019 Cundill History Prize are to open in April, and you’ll find information about the process and requirements here. And while most announcements of prize winners from award programs of the Cundill’s magnitude are worthy of journalistic attention, we’ll add here a further comment about The Dawn Watch in which Oxford-based juror Peter Frankopan cinches why historical investigation is such a fundamental part of the service that world publishing provdes to the markets. “Walking in someone else’s steps is only part of the story,” Frankopan says. “The skill is working out what can be learned from doing so–and perhaps most important of all, explaining that to readers. First-class historical writing requires all of these to come together; and it’s a lot harder than it sounds. “Jasanoff’s book is beautifully written, too. It is lyrical, evocative, and haunting, and captures Conrad’s writing, personality, and life perfectly. More from Publishing Perspectives on the Cundill History Prize is here. And more on literary prizes in general is here.